I know I'm getting repetitive when I say I need to start blogging more frequently, but sometimes life happens and life makes people busy. I've fallen behind on a couple of product reviews and my little pile is slowly growing. I'm hoping to get more posts out this month! First on the list is Born Pretty Store's "3D Nail Art Sticker Nail Charm Metal Style Round Flower Musical Notes Nail Decoration-1pc". It's essentially a really thin metal nail art decal. When I received it, I was a little thrown off because I was expecting 3 floral variation of the metal decal. But instead, for $8.57, you get only 1 variation and only 12 pieces. They have a lot of different designs to choose from. This is one of the more expensive product that I've reviewed from Born Pretty Store and I'm sad to say that I'm a little underwhelmed. More so for that fact that for that price, there you can definitely buy a larger variety of nail decals from that store. If you're interested in checking out this product for yourself or decide to treat yourself to a little haul to this website, be sure to use the promo code: NVL91 to save an extra 10%! For my nail art using this product, I decided to something very Spring themed. 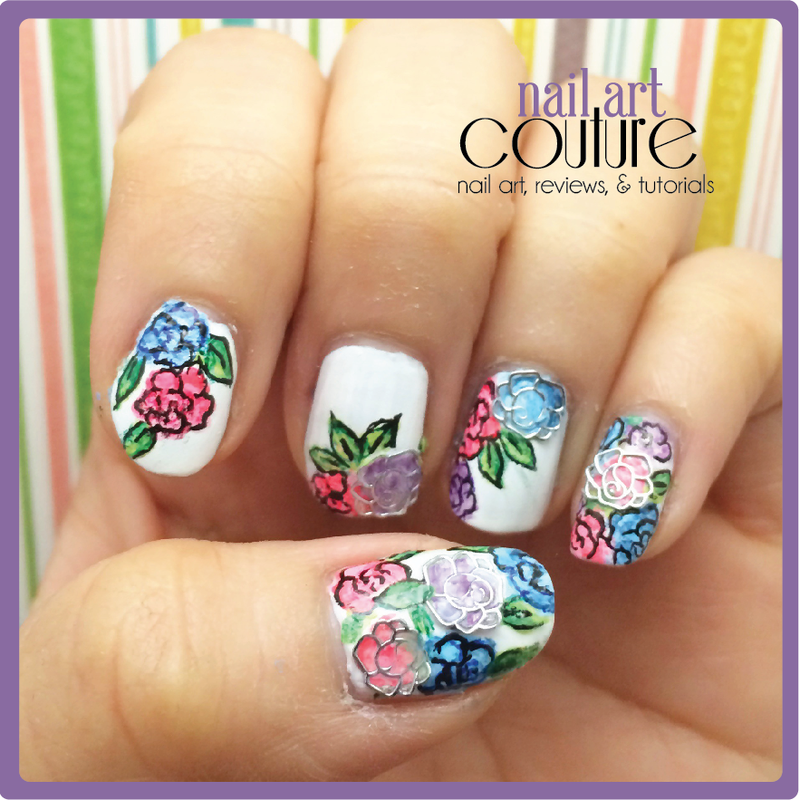 Bright floral patterns are definitely on trend this spring and summer! 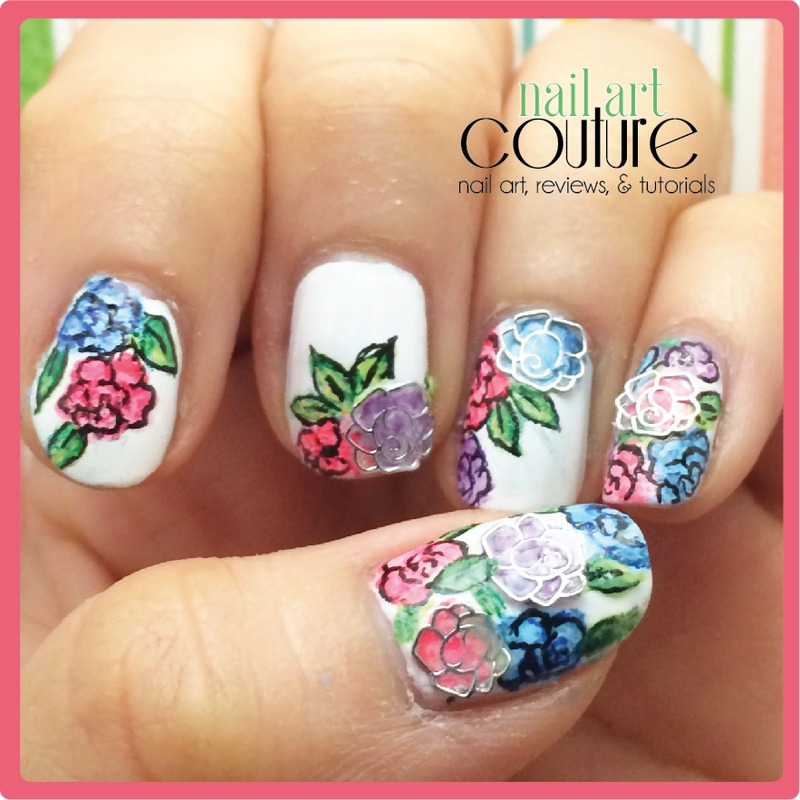 The nail art is very simple to do and you can follow my Vintage Floral Nail Art tutorial to re-create this. The only difference is just the placement of the flowers and using different colours. 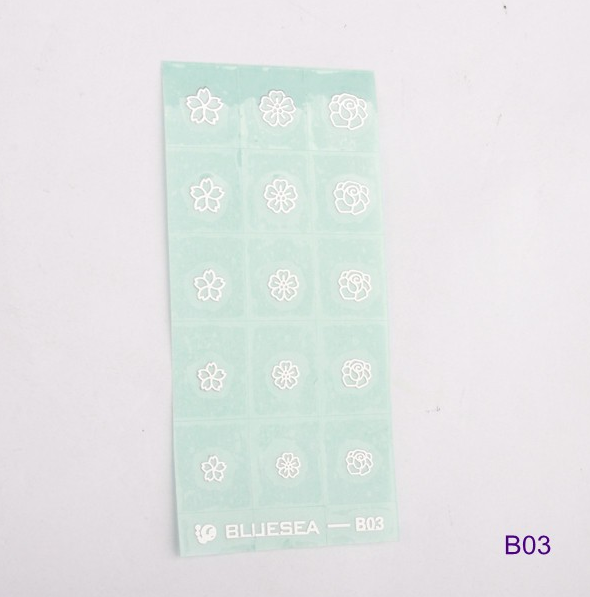 To get this decal to stick on very tightly, put a drop of topcoat on your nail art palette (it could be a plastic bag or paper too). Submerge a decal into the topcoat so that it is coated all over. Then use your tweezer, place where you want your decal to be. 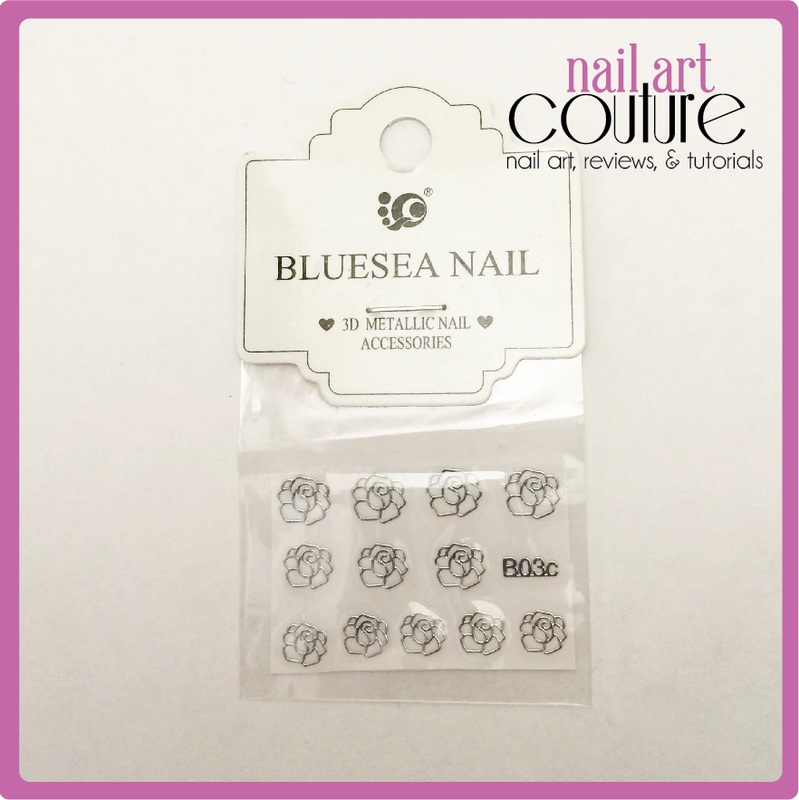 Allow it to dry and put on a layer of top coat over your nails to really seal the decal in. 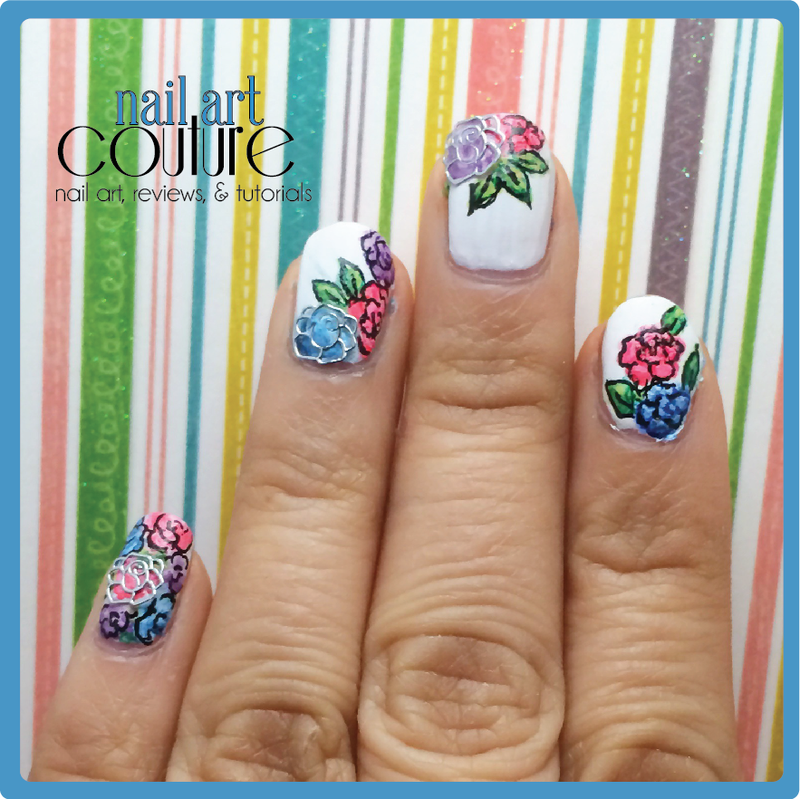 If any of my design inspired you, be sure to tag me on Instagram (@NailArtCouture) or share it with me on my Facebook Page! I hope you enjoyed this tutorial!